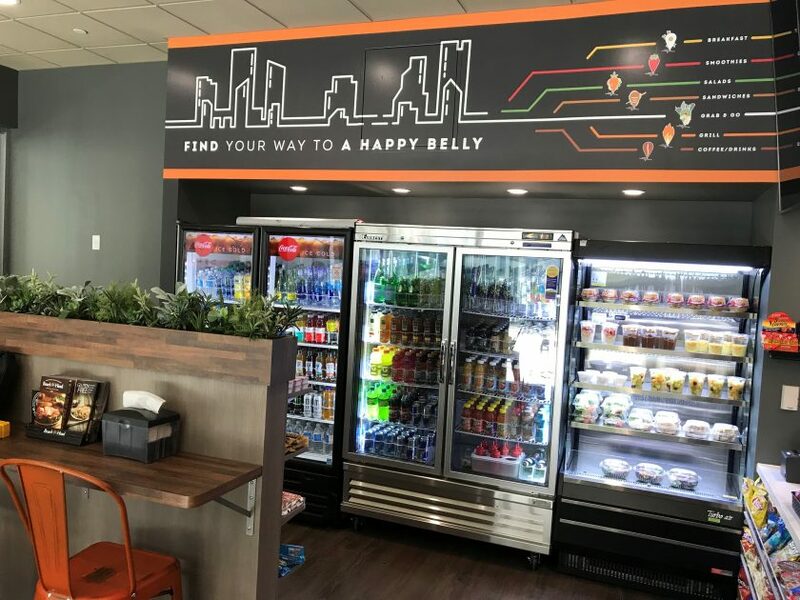 (Fort Worth, TX) Jim Breitenfeld, Vice President in the Office Division for Henry S. Miller Brokerage, and Jim Turano, Executive Vice President in the same division, represented B & Z Hospitality, LLC, of Houston in a lease for the first High Tower Café & Deli in the Dallas-Fort Worth Metroplex. The 3,174-square-foot restaurant is targeted to open May 1, 2019 in Fort Worth’s Burnett Plaza, a 40-story Class A office tower at 801 Cherry Street in the Central Business District. Jack Clark with Red Oak Realty represented Burnett Plaza LP. High Tower Café & Deli serves a variety of gourmet delicatessen specialties and healthier meal options in a friendly atmosphere. Menu items include hot breakfast foods, sandwiches, wraps, burgers, salads, smoothies and more. There are 17 High Tower locations in and around Houston. Jim Breitenfeld, Vice President of the Office Division for Henry S. Miller Brokerage, specializes in representing property owners, tenants, and buyers/investors in the sale and lease of office and industrial properties. Before joining Henry S. Miller, Mr. Breitenfeld worked for multinational organizations including Schneider Electric, Johnson Controls and Brady Corporation, gaining experience in building systems and infrastructure and energy management solutions in the commercial real estate industry. Mr. Breitenfeld earned a BS in Marketing from Arizona State University and an MS in Management-International Business from the University of Wisconsin-Milwaukee. Jim Turano, Executive Vice President of the Office Division for Henry S. Miller Brokerage, specializes in tenant representation, office leasing and commercial property sales. With a thorough understanding of the economic and functional needs of both landlord and tenant, Jim successfully worked as the exclusive leasing agent for several major projects. He has continuously been recognized as one of the Top Producers at Henry S. Miller.